The Hapeville Police Department's Uniform Patrol Division are the first responders for calls for service. 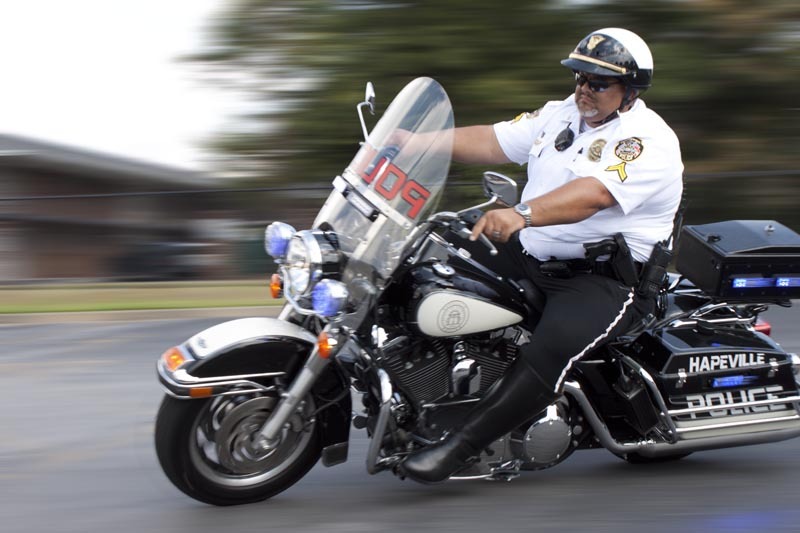 Uniform officers are assigned to shifts and provide a myriad of services, with many different specialties, including: Patrol and Observation, Report Writing, Defensive Tactics and Tactical Response, Bicycle and Motorcycle Patrol, Crime Scene preservation and Traffic Enforcement. To reach an officer in the Uniform Patrol, contact us at (404) 768-7171. 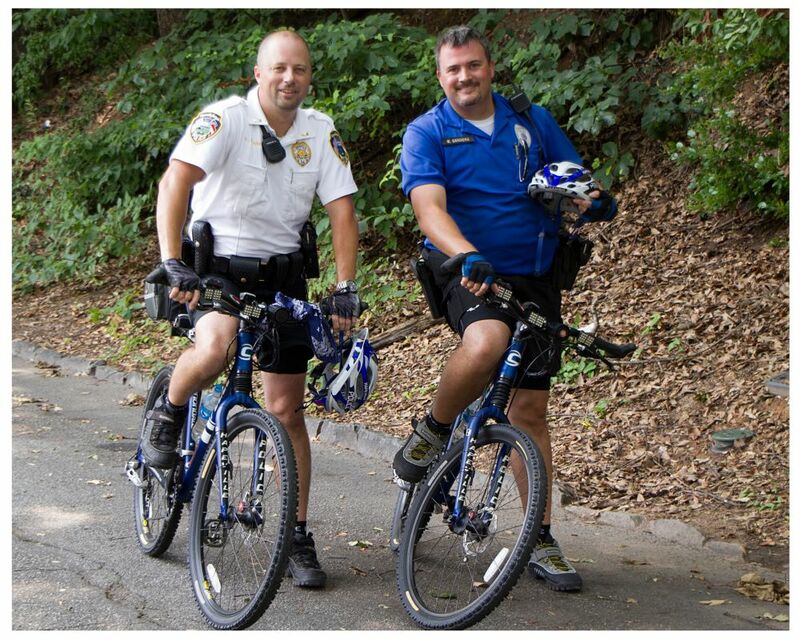 Lt. Mark Bradberry and Officer Michael Sanders patrolling on bicycles.